“Go back to your country”, these were some of the first words I heard when I moved to the United States. My journey began here, sitting at a Starbucks, drinking my coffee with my mother, and taking in these atrocious words that echoed through the background of my mind. I never imagined myself in that position. My mother and I were both shocked and the only thing we could do was stare at each other and move on. My journey began here, and today I am here to speak up for every latino and latina that has ever felt out of place. Months before moving to the United States, I was afraid, not only because I was moving somewhere new, and somewhere I did not know what it looked like; but also because of the presidential elections and everything that was going on in the U.S in those times. I felt as if my choice of moving was the incorrect one and that maybe I should reconsider. It did not matter if I had a U.S passport and spoke good English; the fact that mi gente (my people) was being persecuted and discriminated against bothered me beyond words. I always thought of the U.S as a diverse place and a place filled with opportunities, don’t get me wrong. Back home, I had opportunities, but they were not as good as I could have in the U.S. 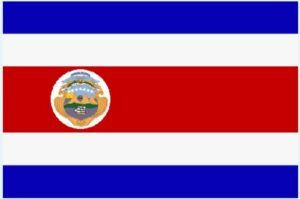 I was born and raised in Costa Rica, which is a small country located in Central America. When I was searching for colleges, I had to take into account that I came from a small country, and I felt that I would adapt better if I went to a small college as well. Lesley was the last college I applied to, and the one I ended up loving the most. I decided to come here without knowing what it looked like and how people were. My decision was mostly based on the school’s education program and the location, Cambridge. My thoughts were that Cambridge was a very diverse place, so everything that I was hearing on the news would not be as bad here as in other states. This turned out to be true, although not completely. While people on campus have been very respectful of my culture, it is people outside the Lesley community who sometimes don’t understand. What I have learned is that everywhere you go, you may have to deal with people calling you names or assuming things about you. I was told many times that I could not possibly be a latina because of my skin color and not being “brown enough”, or that I could not be a latina because of my good English, and many other things like that. I never thought that I had to look a certain way and speak a broken English to be considered a latina, but then again, here I was not speaking up for myself, and not informing people as I should have. For all latinos and latinas, and everyone else out there who is emerging into a new culture, keep your head up and do not let stereotypes get into your head. Some people will say things, but what really matters is that you keep your culture within you. Don’t be afraid to teach others about your culture, your language, your traditions and your country. I learned that people may make mistakes about your country; but they should not make assumptions, they should not believe something that is not true. Your skin color, the amount of languages you speak and where you come from should not matter as much as it does to some people these days. For everyone out there feeling out of place, don’t forget that there is always someone that feels the same as you. Don’t be afraid, and it’s okay to speak up!